Only designated ICOTS contacts or DCAs in each compact office should submit tickets. End users need to contact their state compact offices for assistance. We need to keep the ticket submission process as streamlined as possible and with limited resources in the national office, restricting who can submit a ticket ensures we will respond to each as efficiently as possible. 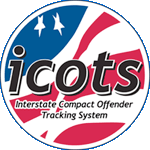 Directing tickets through a single point of contact in each compact office also ensures at least one person in each state is aware of all the ICOTS issues affecting their users, while reducing duplicate ticket submission and redundant work.